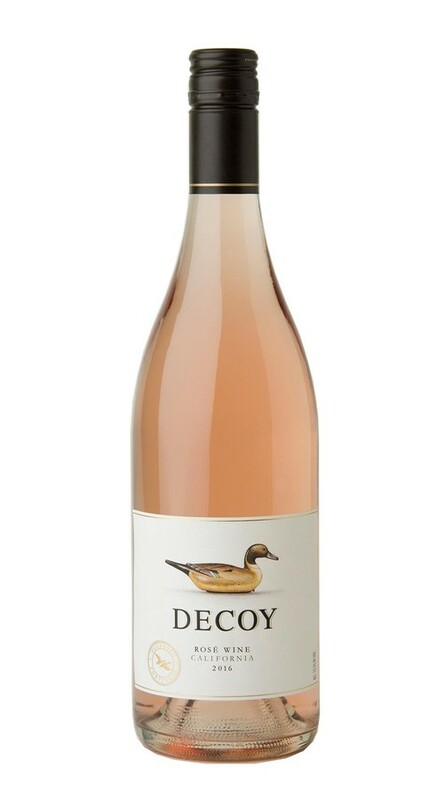 Inspired by the great rosés of Provence, our debut Decoy Rosé was made from a blend of Syrah and Pinot Noir. Unlike many rosés, which are made as a byproduct of bleeding off juice from red wine fermentations, the grapes for this wine were specifically harvested at lower Brix to make a dry rosé. To further preserve the wine’s beautiful aromatics, pure fruit flavors and crisp refreshing mouthfeel, it was fermented entirely in stainless steel. This lovely rosé displays enticing aromas of fresh-picked strawberries and summer watermelon, along with hints of lemon zest and wildflowers. On the palate, it is bright and elegant, with a refreshing underlying acidity that adds poise and definition to the vibrant fruit flavors. With the warmer weather here my wife loves to sit outside and sip wine watching the sunset. She has started to switch from our standard Pinot Nior to Rose' wines. Of course me being the red wine tyrant that I am, I opposed this switch, using the same excuses of no body, no flavor rants. I cannot believe I'm writing this but she was right! Well in this case she is dead on. This wine is robust enough for a pork roast, as well as any chicken dish. It's dry texture and bold flavor have me sold. Toss in a fresh pear or peach from the trees in the yard and let the wine open up for a slight kick of sweetness. Don't worry guys you can drink this without losing your man card. Enjoy!